The AGM DataNetSystem (DNS) provides the foundation for rapid implementation and deployment of plant/facility wide wireless field data communications. Since the DNS can operate from the power of the replaceable battery, it is now possible to collect data from locations that do not have an available power source. Mesh Networking communications protocol (Data Relaying) and inherent data encryption along with industrial strength packaging insures dependable and reliable operation. 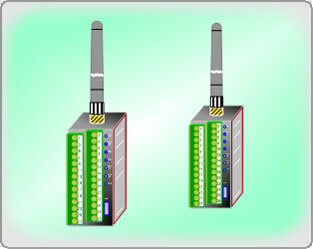 Wireless Data Communications: The cost associated with adding facility wide data acquisition is greatly lowered. Mesh Networking Topology (Data Relaying): This type of network automatically compensates for weak links ensuring that the most remote data points are accessible. Secure/Reliable Data Transmissions: Builtin 128-bit AES encryption considerably reduces the probability of compromised data. 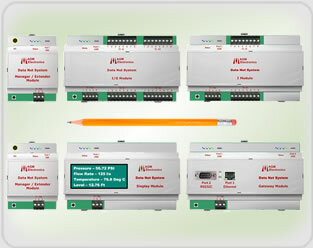 Low Power - Battery or 11/30 VDC: The Data Net Modules (DNM) used in the DNS include intgral battery backup. Therefore, during power outages, field data will still be accessible. In some cases, remote DNM's can be operated solely on battery power. 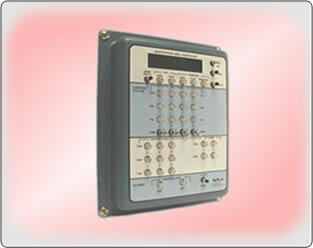 Up to 4 Analog and Discrete Inputs and Outputs: Data Net Modules are available in a variety of Input / Output types and options. Packaging: Small foot print (2.75 X 3.5 inches), hermectically sealed, DIN rail mountable, "Plug and Play" field wiring terminals facilitate rapid deployment and lower installation costs. Easily Configured: The Data Net System Designer App software which incorporates visual aids and "Pick and Place" technology along with the visual status indicators on the DNM's simplifies startup and management of the wireless network. 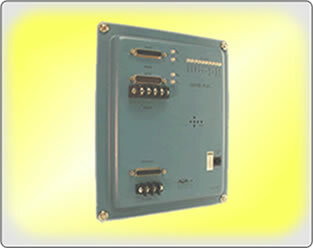 7-Year Transferable Warranty: AGM provides ongoing software and hardware support for the life of the product warranty. The following table is a compilation of a few of the many applications that the AGM Data Net System (DNS) can be applied to. 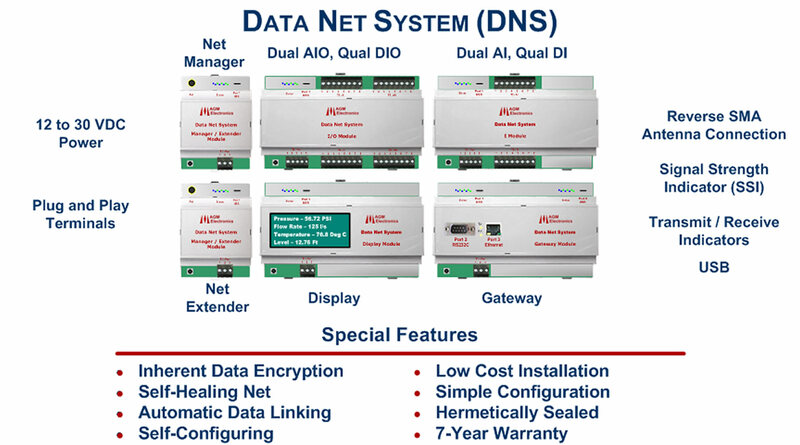 If you have an application that you are uncertain as to whether or not the Data Net System is the correct product to apply, contact AGM's Technical Support Team and they will work with you to insure that the correct product is selected for your design requirements.